The San Diego Symphony launched their 2018-19 indoor season last week with a sold-out performance featuring pianist Lang Lang. The Symphony is continuing the exciting momentum in November with a packed lineup of Jacobs Masterworks and Jazz @ The Jacobs concerts, as well as the return of the City Lights concert series on November 9 with Rickie Lee Jones & Anders Osborne. On November 1, the San Diego Symphony will be unveiling a special concert series: Rush Hour 2.0. This series features one-hour concerts designed to help people who live or work downtown skip traffic, while enjoying a world-class musical program at a lower price. Guests can also enjoy signature cocktails, a photobooth, and a food truck prior to the concert. The first Rush Hour 2.0 concert will feature a one-hour performance of Tchaikovsky’s First Piano Concerto with 24-year-old pianist Conrad Tao, who was recently named one of New York Times’ 5 Classical Music Faces to Watch this Season. On November 1, 2 and 4, the San Diego Symphony will host the world premiere of a unique commissioned work – Brazos de niebla – that brings together Mexican composer Javier Alvarez and genre-crossing United States Poet Laureate Juan Felipe Herrera. Alvarez’s piece – that is set to an original poem by Herrera (a San Diego native) – depicts the thoughts and feelings of a young immigrant child lost in the circumstances surrounding him. This work, commissioned by the San Diego Symphony, will provide a snapshot of today’s climate, start conversation and connect people through a moving musical narrative. Looking ahead to December, the Symphony will be celebrating the winter holidays with two exciting concert offerings: Love Actually in Concert on December 14 and Noel Noel on December 15, 21 and 22. Tis the season to celebrate with music! The unique commissioned work that opens this program brings together Mexican composer Javier Álvarez and genre-crossing United States Poet Laureate Juan Felipe Herrera. Imagining the hopes, fears and dreams of an immigrant child, this work features a boy soprano and incorporates the sound of Mexican vihuelas. The concert also features brilliant young pianist/composer Conrad Tao performing Piotr Tchaikovsky’s First Piano Concerto. Note: This Rush Hour 2.0 concert begins at 6:30 PM and runs less than 90 minutes with no intermission. Our film season opens with the final Silent Era Masterpiece from comedian extraordinaire, Buster Keaton. Buster plays a college graduate trying to gain the respect of his father, a roughneck riverboat captain, as well as the love of Kitty, pretty daughter of his father’s business rival. This film contains one of cinema’s most famous (and dangerous) stunts as Buster narrowly avoids being crushed by a tumbling house facade. Our City Lights season opens with an artist who has been blazing her own trail for years, singer/songwriter Rickie Lee Jones. From her early collaborations with Tom Waits and Dr. John to her own breakout hits “Chuck E.’s In Love” and “The Last Chance Texaco,” Jones became a “cool pop” icon in the late ‘70s/early ‘8os, appearing on Rolling Stone covers and SNL. Two Grammys® and 15 critically-acclaimed albums later (including her landmark 1981 breakup album Pirates), Jones has fearlessly explored a number of American musical idioms such as rhythm & blues, jazz and (most recently) New Orleans soul. 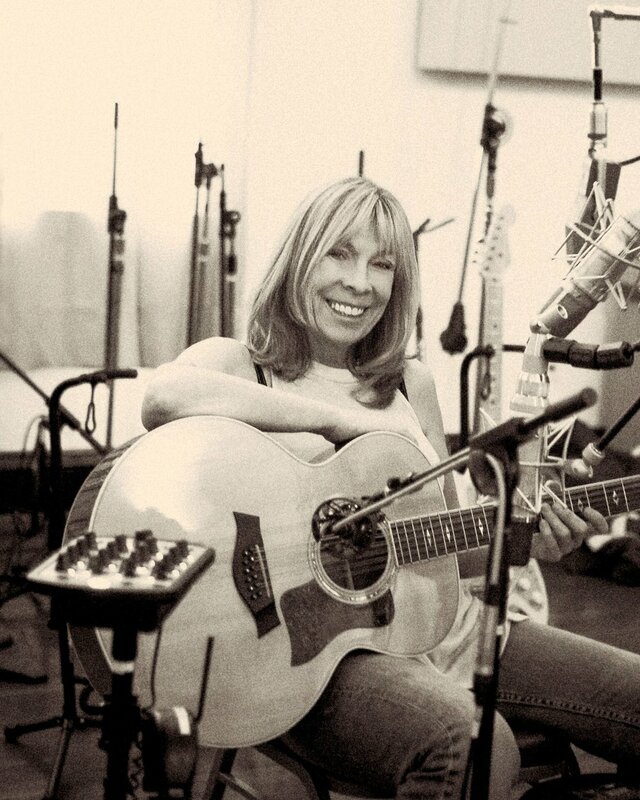 Rickie Lee Jones’ vast repertoire, musical curiosity and “confessional” style of songwriting will make for a memorable evening at Copley Symphony Hall. Jones' special guest will be sensational New Orleans singer and guitarist, Anders Osborne. Guitar Player calls him “the poet laureate of Louisiana’s fertile roots music scene.” New Orleans' Gambit Weekly has honored Osborne as the Entertainer Of The Year. OffBeat named him the Crescent City’s Best Guitarist for the third year in a row, and the Best Songwriter for the second straight year. Osborne also won Song Of The Year for his composition, "Louisiana Gold." We continue our celebration of Leonard Bernstein@100 with works inspired by him and written by close colleagues. The urban sophistication of Bernstein’s own The Age of Anxiety, which is structured as a concerto for piano with orchestra, contrasts with the pastoral nostalgia invoked by Aaron Copland’s American masterpiece, Appalachian Spring. Winner of ten Grammy® awards (including the first-ever Grammy® for Best Latin Recording), Eddie Palmieri is a living legend and innovator who in the 1970s dared to combine elements of salsa, funk and soul with a Latin jazz heritage absorbed from early collaborators Tito Rodríguez, Carl Tjader and his own beloved brother, Charlie Palmieri. Founder of the bands La Perfecta, La Perfecta II and Harlem River Drive, Palmieri recently received the coveted Jazz Master award from the National Endowment of the Arts and a Lifetime Achievement Award from the Latin Academy of Recording Arts & Sciences. Note: San Diego Symphony does not appear as part of this program. Two of Broadway’s brightest stars come together for one glittering evening of American song with the San Diego Symphony Orchestra! Matthew Morrison is well-known for his featured roles in Broadway’s Hairspray, The Light in the Piazza and South Pacific as well as the landmark Fox TV series, Glee. Before winning the Tony Award for Best Lead Actress in a Musical for the 2015 revival of The King and I, Kelli O’Hara was Morrison’s co-star in The Light in the Piazza and South Pacific. Together they and the Symphony will make Copley Symphony Hall shine like the Great White Way! Witold Lutosławski wrote his charming Polish folk music-based Little Suite in response to criticism of his First Symphony as being “too modern." Antonín Dvoŕák’s Sixth Symphony brought him international recognition, and shows his developed style following German traditional form infused with Czech folk melodies. Concertmaster Jeff Thayer performs Wolfgang Amadeus Mozart’s final violin concerto, which contains a hint of international influence in the final movement. Wine Country in San Diego? 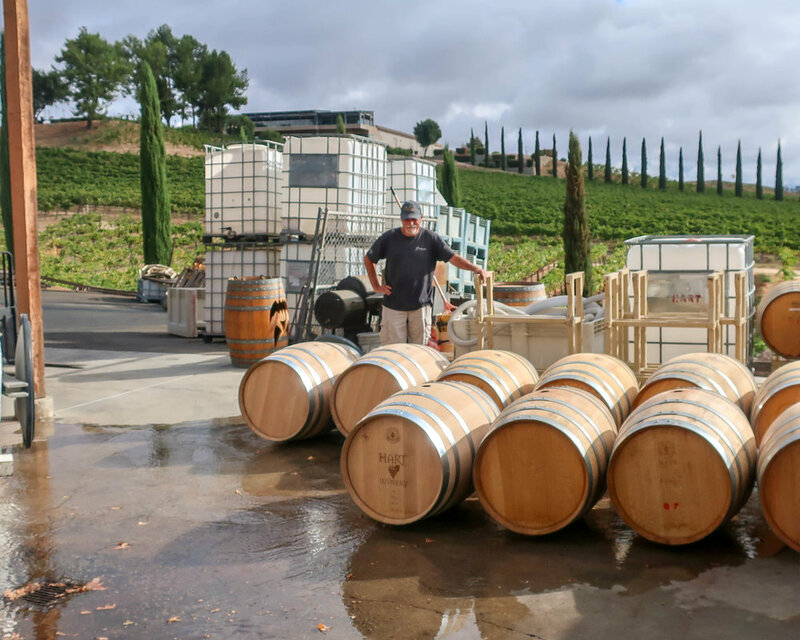 Yes, just an hours drive from San Diego or Orange County is Temecula where you’ll find a bustling wine region with over 40 wineries and a dozen or so breweries. 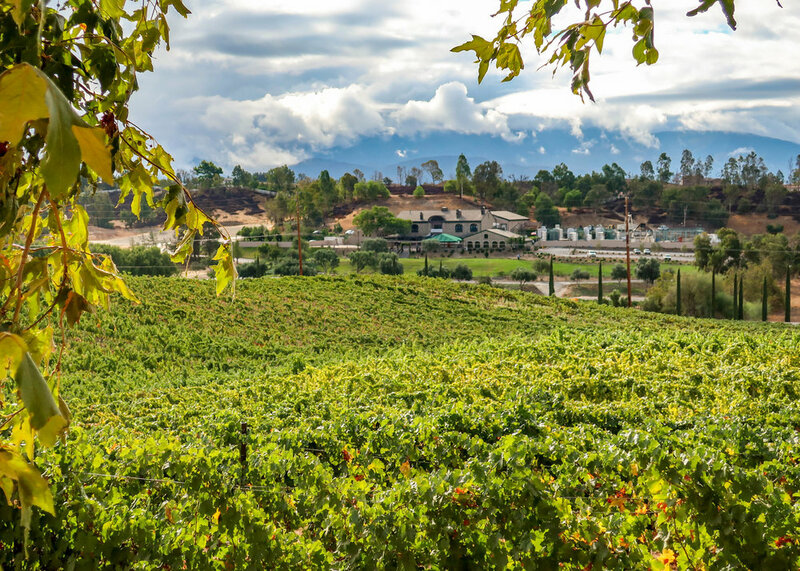 Once a hidden day trip destination, Temecula Wine Country has become one of the top weekend attractions and it’s easy to see why. There’s wine, there’s food, there are picnic spots, there’s live music, and this happens every weekend. What are you waiting for? The Ultimate Stop by Stop Temecula Winery Itinerary… on a Budget! Stop 1: There are a number of wineries who have their own restaurants but for me there’s nothing better than a picnic with a glass of wine at a winery. That’s why I make my first stop Campini’s Deli. Located close to the freeway in a strip mall, Canpini’s is an authentic Italian deli with great sandwiches. Trust me, you’ll thank me later. Stop 2: Thornton Winery: Let’s kick off the day with a glass of champagne! There’s no better place to do this than at Thornton Winery where there are 7 different varietals. It’s also on the Priority Wine Pass so you can get two for one tastings and save $20. Wait, you didn’t buy one? Just go here, buy ONE pass per couple, and show it on your phone. It will pay for itself many times over. 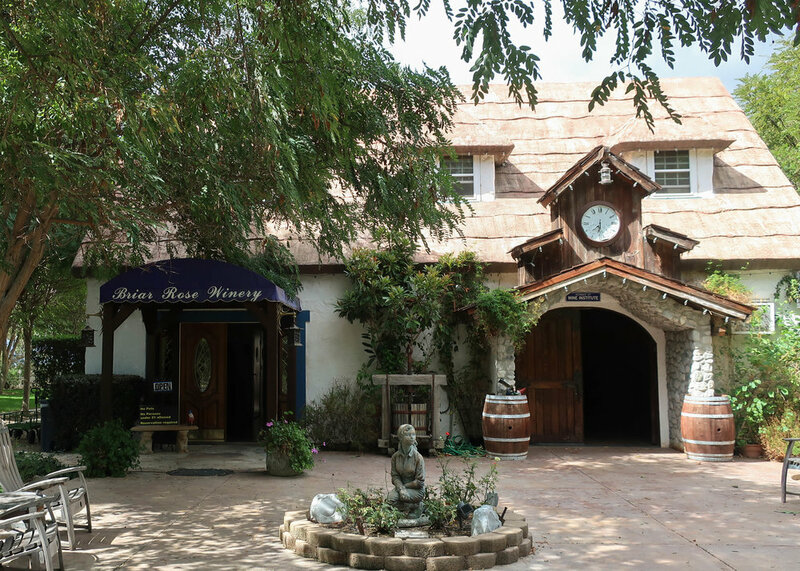 Stop 3: Hart Winery: One of the oldest wineries in Temecula with a small and friendly tasting room. I love places like this over some of the giant mega wineries being built because you still get that family run winery vibe. Yes, two for one on the Priority Wine Pass, save $15. Afterwards it might be time to enjoy that picnic lunch and Hart has plenty of picnic tables with beautiful views. Stop 4: BelVino Winery: With the expansive lawn area and live music on weekends it’s pretty hard not to have a good time at Bel Vino Winery. Those who like sweeter wines will love this stop and those who like dry wines should opt for their cab franc. Two for One with Priority Wine Pass, save $19. Stop 5: Mt Palomar Winery: Another small tasting room and one of Temecula’s original wineries, a local favorite with terrific views and live music every weekend. Two for one with the Priority Wine Pass, save $20. Stop 6: Lorimar Winery: Looking like a transplant from Tuscany is Lorimar Winery, makers of some of Temecula’s best wines. There’s their own food truck on weekends, brunch on Sundays, and the wines will not disappoint. Two for one with Priority Wine Pass, save $20. Stop 7: Briar Rose Winery: OK, look, I saved this one for the last because it’s so weird. The winery cottage was designed by a Disney “imagineer” who wanted to replicate Snow White’s cottage. There’s Disney music playing, there are trolls, the server’s hair is gelled like a shark and everyone is acting like this is normal. 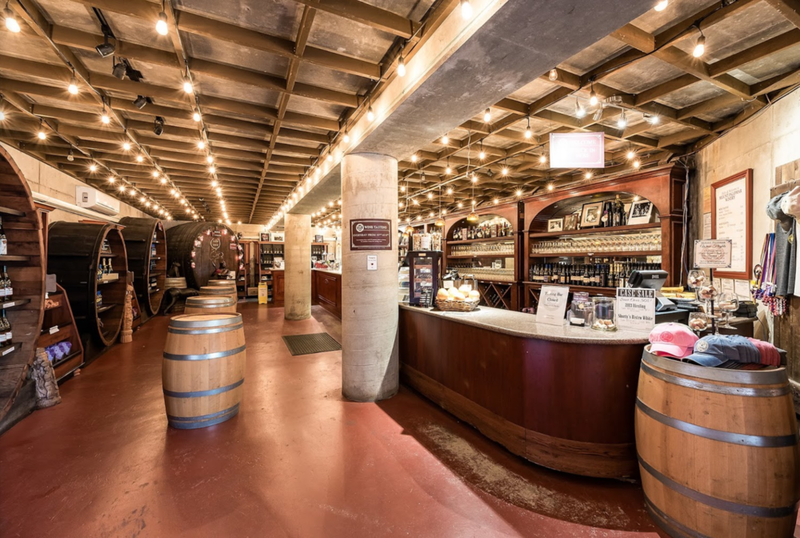 It’s the strangest winery I have ever been to and that’s why you should stop there. Two for One with Priority Wine Pass, save $15. Remember, you only need ONE Wine Pass per couple to get the Two for One deals! 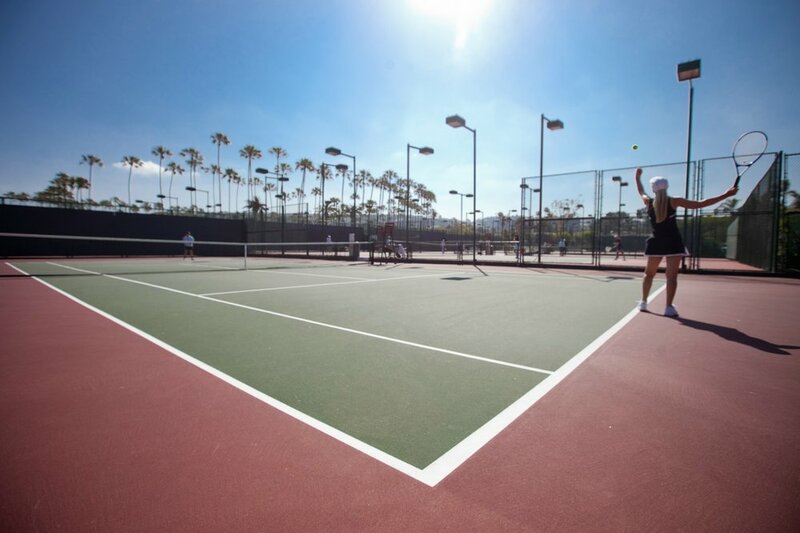 Traveling to San Diego isn't complete without experiencing its vibrant tennis scene. A haven for tennis players, the city features a bevy of state-of-the-art sports facilities accessible to both recreational and professional players. This luxurious resort tucked away in north San Diego county, known for its golf community, is also a great place for tennis as well. Its four hard and two clay lighted courts are always in tip-top shape, and players of all ages can take of lessons at the Four Seasons. Their lessons come with rackets and even tennis shoes, giving those who've always wanted to play tennis zero reasons not to try. The La Jolla Beach and Tennis Club is known for attracting high-profile members, and is quite easily the finest and most elite tennis facility in the area. This holds quite some weight if you consider that La Jolla beach has more tennis courts per capita than any other area in the United States. Since 1935, celebrities and professional tennis players alike have graced this beachfront hotel's 12 championship hard courts. It is also host to the annual Pacific Coast Men's Doubles Championship, the second oldest tennis event in the United States, approaching its 130th year. The 17 clay and hard courts at La Costa have been host to professional tournaments for many years. According to tennis website Play Your Court San Diego, World Team Tennis league team The Aviators, which features some of the top young players in the world, even call the courts here their home. But you don't have to be a pro to enjoy tennis at La Costa. Their many tennis amenities, which include group and private lessons, lighted courts, ball machines available for rent, are also available for amateur players. They also offer the Extreme Tennis Makeover program, where you can record your sessions on video for viewing later on to help improve your game. Complex.com includes Rancho Valencia in its listof "Breathtaking Places to Play Tennis Before You Die”. The 45-acre state of the art facility features 18 pro-level plexi-plave courts spread throughout the property, and breathtaking views of the San Dieguito valley are part of the package. Ball machines are available for use when you stay at the resort. They offer tennis matching for solo travelers, which means you can always find a good match against a player of similar ability. Families, on the other hand, can enjoy private lessons and sessions, and tennis clinics are regularly held by local pros. Tennis is just one of the many sports offered by this family-friendly resort, built on a private island close to SeaWorld. Ball machines and pro lessons are readily available by appointment, and courts are available for reservations. Guest Post by Judith J. Prince, 2017. 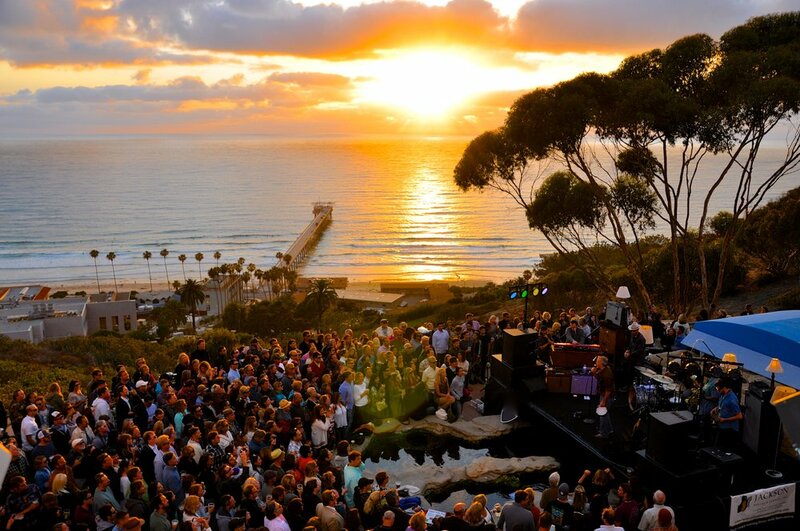 Each summer Birch Aquarium transforms its Tide Pool Plaza into an outdoor music venue unlike any other for the Green Flash Concert Series. These lively monthly concerts, presented in partnership with 101.5 KGB, STAR 94.1, and Belly Up Entertainment, provide the ultimate Southern California music experience while supporting a good cause. The concert series, which is for ages 21 and up, combines live music with panoramic ocean views. Keep an eye out for a real “green flash,” a rare optical phenomenon caused by refraction of light as the sun sets on the horizon. The view, the setting, the music, this is what San Diego summers are all about! Johnnyswim is an American folk, soul, blues, and pop music duo consisting of singer-songwriters Amanda Sudano and Abner Ramirez. Cracker has been described as a lot of things: alternative rock, Americana, insurgent country, —even punk and classic rock. Led by vocalist David Lowery and guitarist Johnny Hickman, the band has brought us genre bending songs such as "Low,” “Euro-Trash Girl" and “Get Off This." Playful singer-songwriter and San Diego legend Steve Poltz returns for a clever, creative, and fun-filled evening. Always quirky and unpredictable. Milo Greene is an L.A.-based Cinematic Indie-pop band with four members doing double-duty as singers and songwriters. The Pine Mountain Logs' repertoire of high energy classic hits range from Led Zeppelin to the Jackson Five, Tom Petty, TLC, Aerosmith, Outkast and more, with surprise bridges and choruses around every corner. Venice’s sound is at once familiar and fresh, their classic rock and folk influences — such as Crosby Stills & Nash, Fleetwood Mac, Joni Mitchell and Stevie Wonder — apparent in their pop sensibilities. All concerts are held from 5:30 to 9 p.m. and are general admission and standing room only. Savory bites, craft beers, and wines are available for purchase. Tickets are available for pre-purchase for $30.95 for members, $35.95 for the general public (convenience fees may apply). Walk up tickets are $41.95. Season passes are also available for $140 for members and $154.95 for general public. Admission includes the concert, entrance to all aquarium exhibits, and parking. Green Flash Concerts are made possible by Subaru, Rock Bottom, French Gourmet, Bank of America, Korbel, Jackson Design and Remodeling, Sobieski Vodka, and EventAvision. Proceeds support exhibits and educational programming at Birch Aquarium at Scripps. For more information or to purchase tickets, visit aquarium.ucsd.edu. Unlike a lot of vacation towns, San Diego lives up to its hype of having a ton of world class attractions and things to do. The problem is a family could go broke trying to squeeze everything in. Just getting into the San Diego Zoo will set you back $58 per adult and Legoland is a whopping $95! But thankfully there is a way to visit San Diego on a budget and still see it all - just get a Go San Diego Card and get access to 40 top attractions for one low price. With the pass you can roam San Diego like a rock star, stopping in at any number of attractions from the San Diego Zoo, Safari Park, Legoland, or USS Midway. Hop on a Harbor Cruise, pop into the museums at Balboa Park, visit the Birch Aquarium in La Jolla, even go whale watching or ride the roller coaster at Mission Beach. Feeling adventurous? Take a day trip to Knott's Berry Farm. Why not, it's included! Want the complete list? It's right here in pdf format. And if you get the 3, 5 or 7 day ticket you'll get FREE admission to SeaWorld, normally $93 per person. To get a Go San Diego Card just click here to order and then show it on your phone or print it. And you might want to add on the 2 day Hop On, Hop Off Trolley tour for only $39/$25, normally $78/$38. It's a great way to get around San Diego and to see the sights. So get yourself and your family a Go San Diego Card. It's Local Wally approved! La Jolla Seals: The first seal pup of 2017 has been born! The Seal Conservancy is happy to report that the first pup of the season was born at Casa Beach on February 4, 2017! But, wait - there's more! Mara and Jenny, two more pups, were born on February 5! Soon, these pups will be popping up all over the beach. If you missed the first few births, there is still plenty of time to witness the beauty of a live birth or watch pups and moms nursing, swimming, or being playful. Under the safe and peaceful conditions of a closed beach, we can reasonably expect there to be 40 - 50 successful seal pup births at the rookery this year, with the majority of births between February and late March. Harbor seals are pregnant for 9 - 11 months? If pregnant seals have a safe place to rest before birth, then it is very likely that the average newborn pup will be born full term and weighing 20 - 24 pounds. It is very important that once this pup is born, the mother is undisturbed for 24 hours and is able to bond with the pup. Once the mom and pup have bonded, the newborn will nurse from its mother for one month before it is weaned and ready to swim and hunt on its own. The chain is up and the beach is closed for the 2017 harbor seal pupping season, but this almost did not happen because of on-going litigation. Please visit our Latest News webpage to stay informed of the news at Casa Beach. Follow the pup births at Casa Beach by checking in our Pup News 2017 page. We try to keep track of each birth as it occurs - sometimes 3 or 4 in one day - and update our page with details and photos of the newborn pups.